Where to vacation this spring? In Barcelona, where you can explore architecture and food, or in Mazatlán, a sun-kissed beach destination coming back into its own. Another great spot: Florida’s Everglades, which are packed with outdoor fun for the whole family. 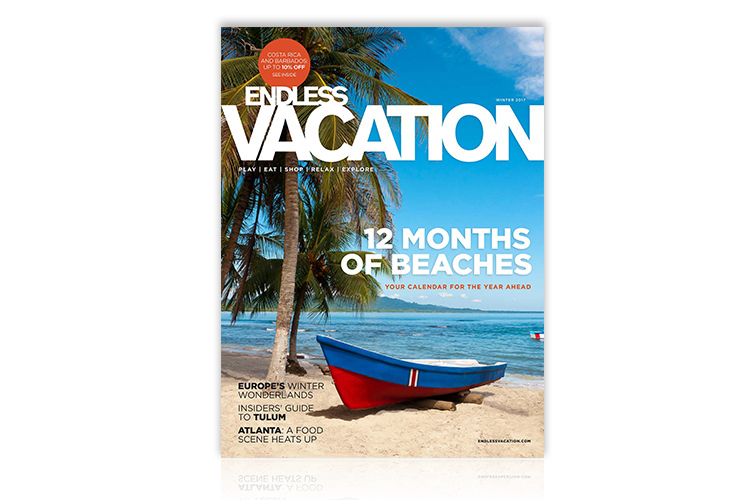 This issue also includes guides for driving the bluebonnet-flanked roads of Texas’ scenic Hill Country, spending 72 hours in Montreal, and relaxing in the Caribbean on pristine Grand Cayman Island. 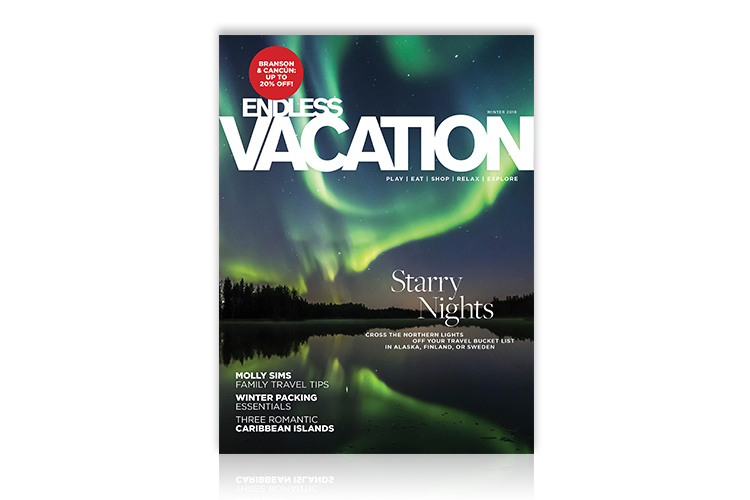 The Winter 2018 issue covers California in sun and snow, the natural spectacle of the northern lights, a storybook tale of Amsterdam, how to tip around the world, 19 reasons to travel in 2019, and more! 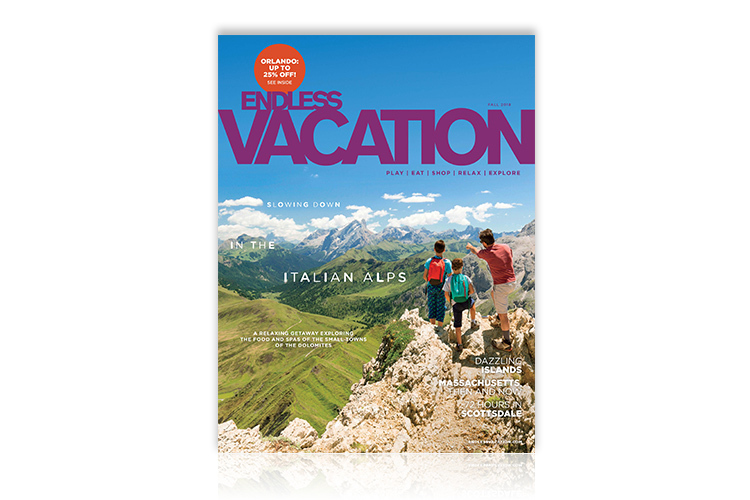 The Fall 2018 issue features an in-depth look at Oaxaca, Mexico’s food and design capital, a guide to Italy’s tranquil Dolomite mountains, where to take the whole family in Houston, and more! 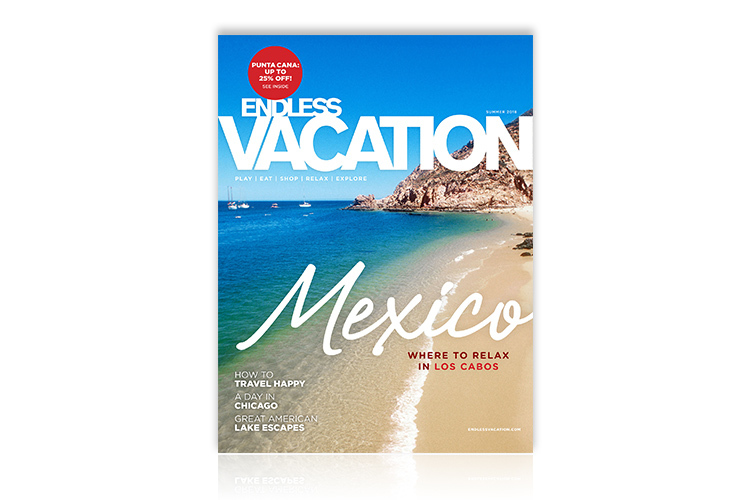 The Summer 2018 issue highlights Cabo’s top spas, the joys of Vermont’s mountain towns, tips for stress-free travel, some of the most interesting types of ice cream around the world, and more! 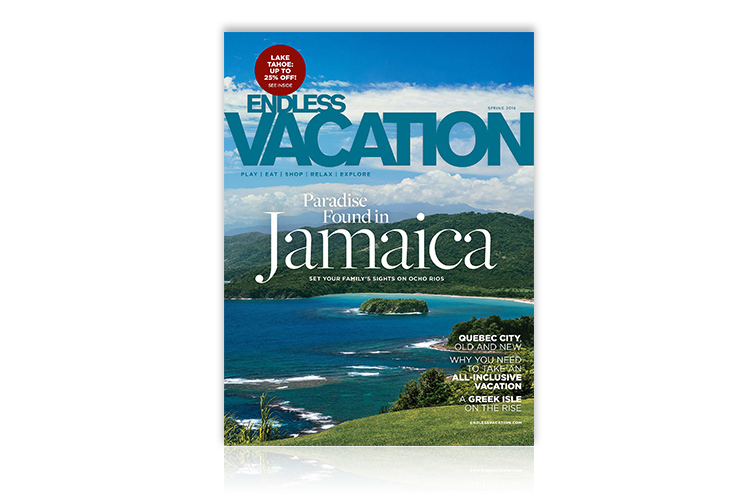 The Spring 2018 issue features a fun-filled getaway to Jamaica, a guide to the charming Greek island of Skiathos, a roundup of miniature-golf courses for the whole gang and more! The Winter 2017 issue features some of the best snowy getaways in Europe; Boulder, Colorado's quiet side; 12 Months of Beaches; tips for staying healthy while traveling; and more! 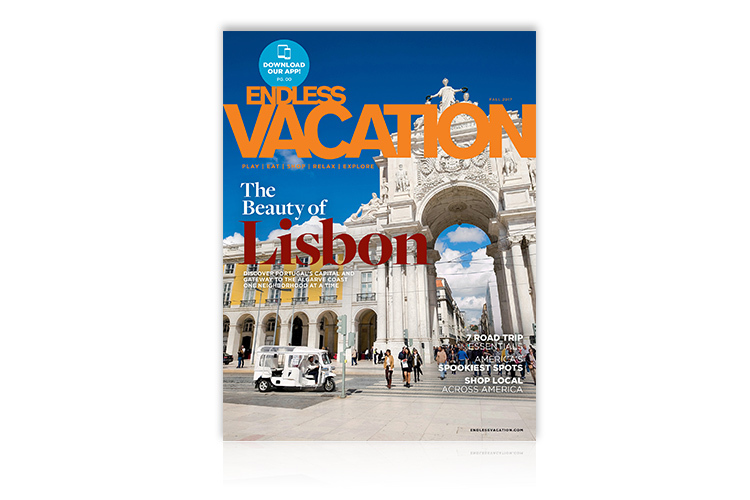 The Fall 2017 issue features a kid-friendly getaway to San Antonio; an affordable stopover in Lisbon on the way to Portugal’s Algarve coast; America’s 13 spookiest towns; tips for protecting your passport; and more! 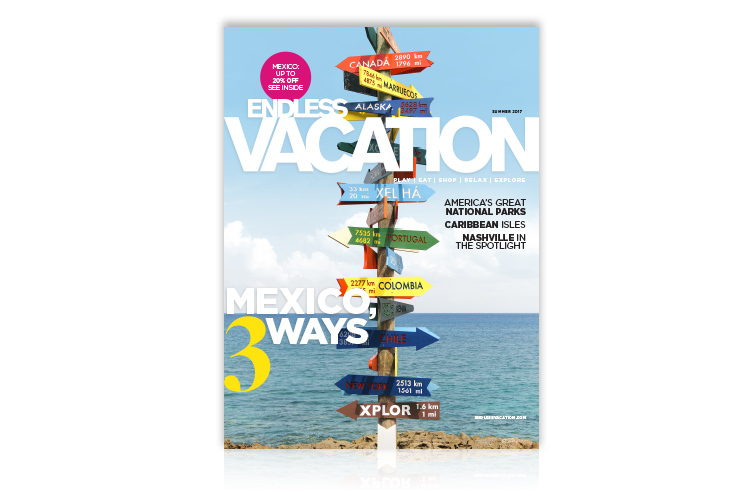 The Summer 2017 issue features Mexico, for a family guide to the Yucatán Peninsula; the musical city of Nashville; smartphone tips for on-the-go navigation; day trips from Williamsburg, Virginia; and more! The Spring 2017 issue showcases Venice’s best-kept secrets; shopping and architecture in Palm Springs; 5 spring break ideas for night owls and families; and more! 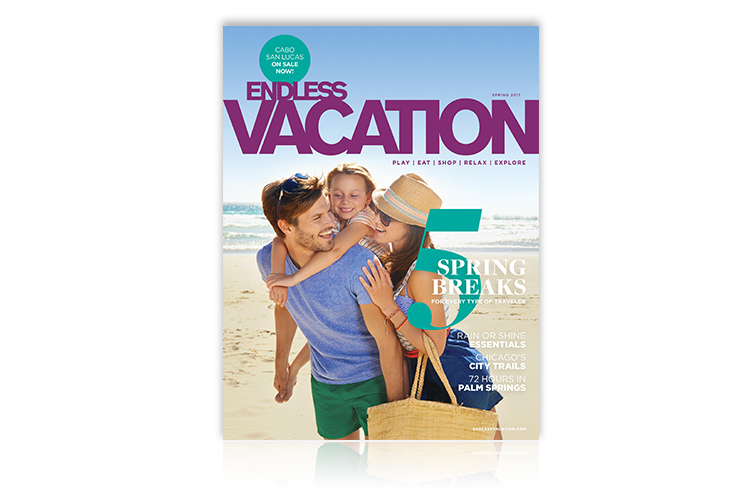 Use of the term “Membership” is intended to denote subscription to the Endless Vacation magazine, the official publication of RCI. RCI benefits are obtained only via a subscription to the magazine. 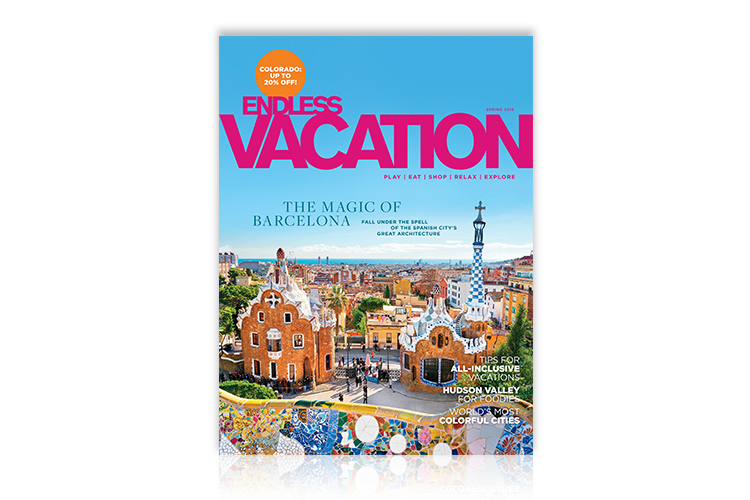 Endless Vacation magazine is an independent publication and has not been authorized, sponsored, or otherwise approved by Apple Inc. Apple, and the Apple logo are registered trademarks of Apple Inc., registered in the U.S. and other countries. App Store is a service mark of Apple Inc.